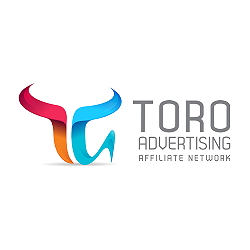 TORO Advertising - Affiliate CPA network reviews and details. You can check TORO Advertising reviews and Offers on Affbank and ask TORO Advertising Team any question by using the contacts above, especially about how to earn money! The Network need to be at the top! They really apreaciate their publisher, never take long the payments, always on time and in full. i tried tons of their offers, most of them are worked good. a european network with responsive support team. This s the only Network that I don't have any issues, or any other trouble. They have the possiblity to pay me weekly, but it is the frequency which need to be approved and rewarded. Great job!! The best thing about Toro is the attention to its affiliates. Your offers turn well.